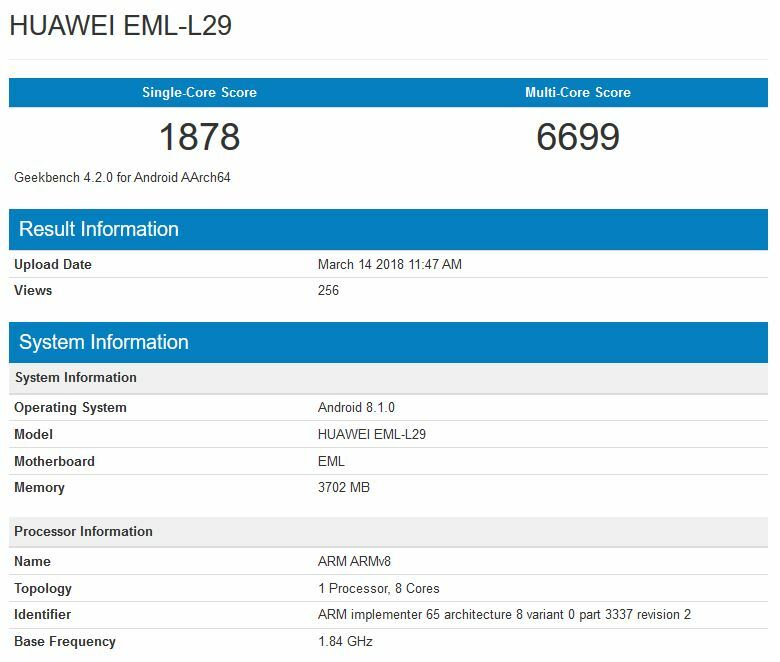 Huawei P20 with the code name “Emily” or EML-L29 was recently spotted in GeekBench. Based on the results, it performed quite as we expected. The Huawei P20 runs on the Kirin 970 SoC with Android 8.1.0 and EMUI as its user interface. The chipset is said to empower the AI-enhanced dual camera setup. To spice things up, the Huawei P20 Pro is fitted with a unique triple camera setup. What interests us more is that the P20 will run with 4GB RAM which is particularly similar with the P20 Lite variant. The P20 family will be announced in Paris on March 27.